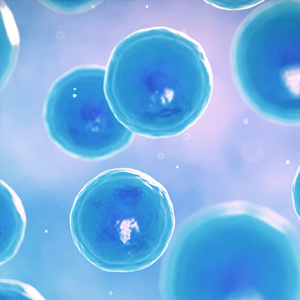 Regenerative medicine uses the autologous stem cell therapy (from the same patient) to regenerate damaged tissue, and recover its main functions. THIS KIND OF MEDICINE IS APPLIED AROUND THE WORLD TO BOTH HUMAN AND ANIMALS. BIOAPLICADA PURIFIES, MULTIPLIES AND CRYO-PRESERVES STEM CELLS FOR ITS USE IN VETERINARY MEDICINE. IN BIOAPLICADA WE COMPLEMENT THE STEM CELL THERAPY WITH ANOTHER AUTOLOGOUS BIOLOGICAL THERAPY: PLATELET-RICH PLASMA (PRP). 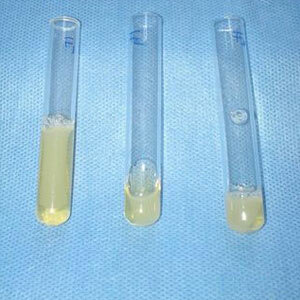 PRP is a fraction of blood that contains a concentration of platelets, a natural reservoir of growth factors. PRP is prepared under sterile conditions with the same animal’s peripheral blood, and is injected directly into the damaged tissue, by itself or in combination with stem cells for the treatment of trauma and degenerative diseases, including tendon and ligament lesions, osteoarthritis, osteochondral defects, fractures, muscular dystrophy and autoimmune disorders, among others. We are a company that specializes in quality control and biocompatibility testing for the pharmaceutical, medical devices and cosmetic industries and in the Veterinary area, stem cell isolation, purification and amplification to be used in tissue regeneration treatments.